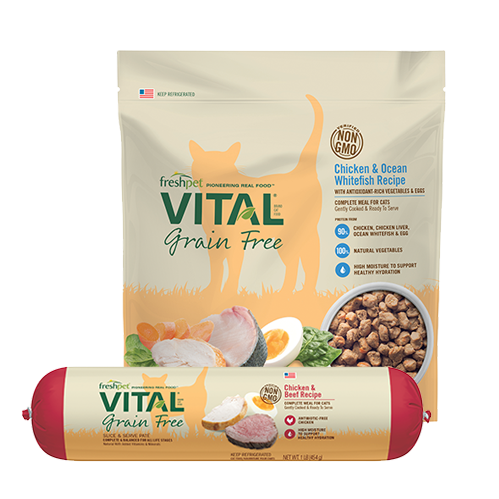 You don’t have to look far to find an all natural pet food recipe that will keep your dog or cat’s coat in great shape. 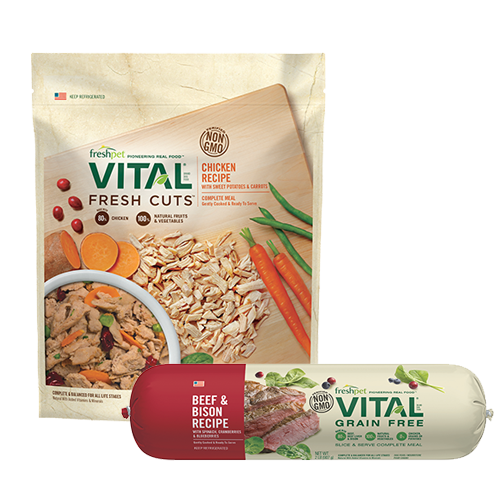 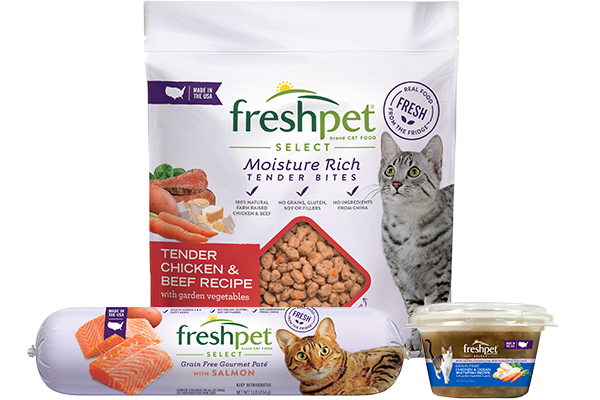 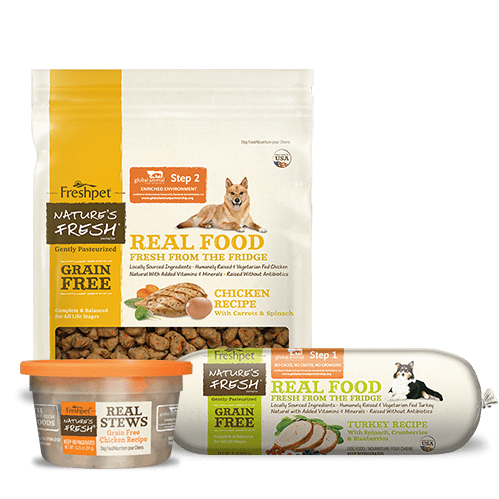 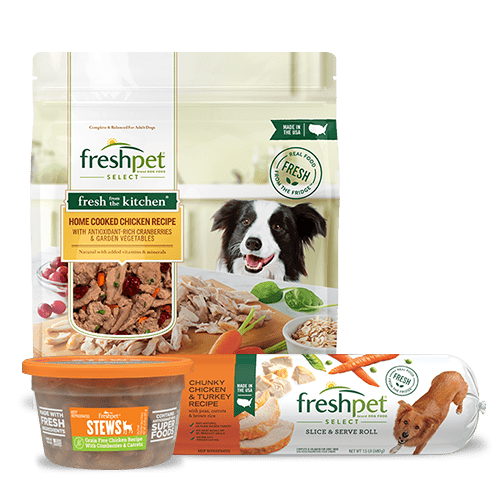 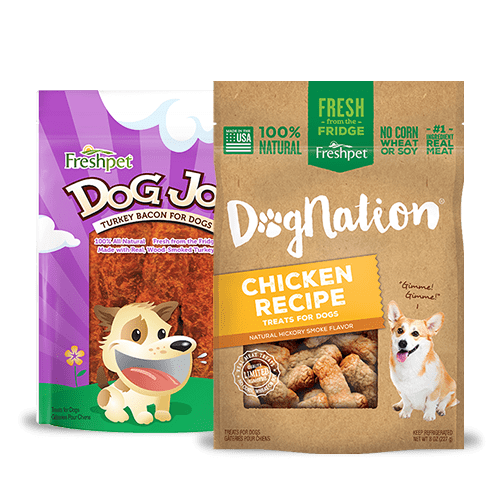 Like all Freshpet foods, our Freshpet Select Roasted Meals for Dogs and Freshpet Select Roasted Meals for Cats are meat-based and made of high-quality proteins, like chicken and chicken liver, and vitamin-rich vegetables, like carrots and spinach, for a 100% complete and balanced diet. 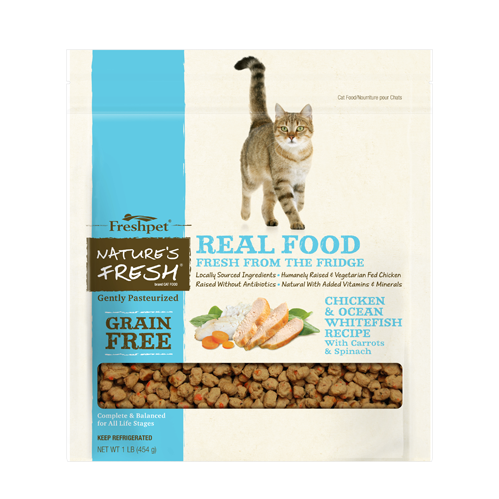 So remember, to keep your pet's coat radiant and huggable, get brushing and feed them fresh!